Turkey has been misusing arrest warrants it issues in cooperation with Interpol, German Chancellor Angela Merkel said on Sunday. “We must not misuse international organizations like Interpol for such purposes,” she said. Merkel’s statement came only a day after Doğan Akhanlı, a Turkish-born German author was detained by Spanish police at Turkey’s request. 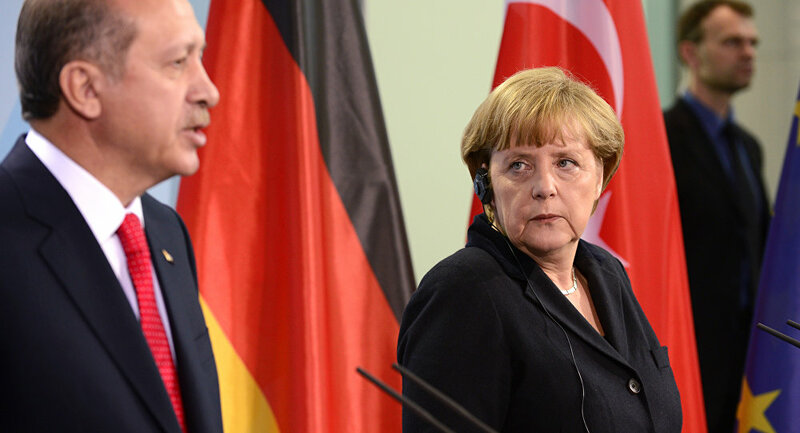 “(Akhanli’s) is one of the many cases, unfortunately,” Merkel added. Turkey had also requested from Interpol to detain Swedish-Turkish writer Hamza Yalçın who was taken under custody in Barcelona earlier this month. Turkey came under criticism also when it cancelled the passports of around 50,000 Turkish citizens over suspected links to the Gülen group, which Turkey accuses of masterminding a coup attempt on July 15, 2016, and it uploaded another 60,000 names on Interpol data in the aftermath of the coup attempt, over similar charges.